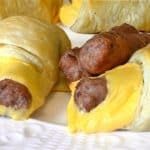 Sausage & Cheese Breakfast Roll Ups are the perfect solution to an easy and laid-back breakfast. Made with precooked turkey sausage links. these morning babies have all of the taste and only a fraction of the calories you might expect from similar breakfast foods. 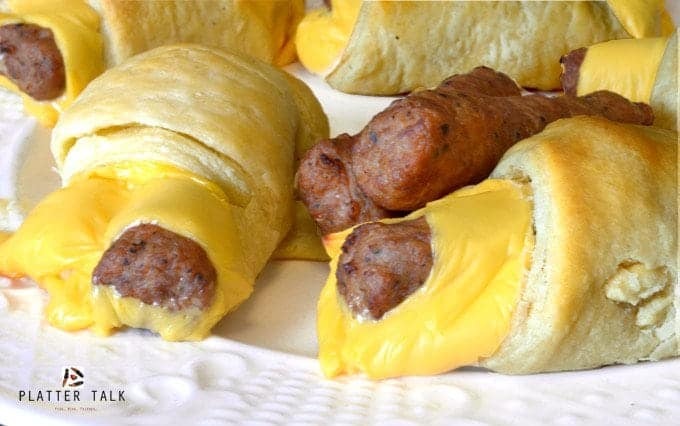 I put these Sausage & Cheese Breakfast Roll Ups together this past Sunday morning, out at our small cottage on a small lake in the middle of Nowhere, Wisconsin. By coincidence, our little oasis is not much further than a stone’s throw from the hamlet of Johnsonville, Wisconsin, birthplace of one of the biggest sausage companies in the world. 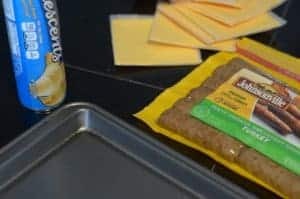 This recipe was not written for Johnsonville Sausage, I’m featuring their product because it’s always top quality great taste and value. 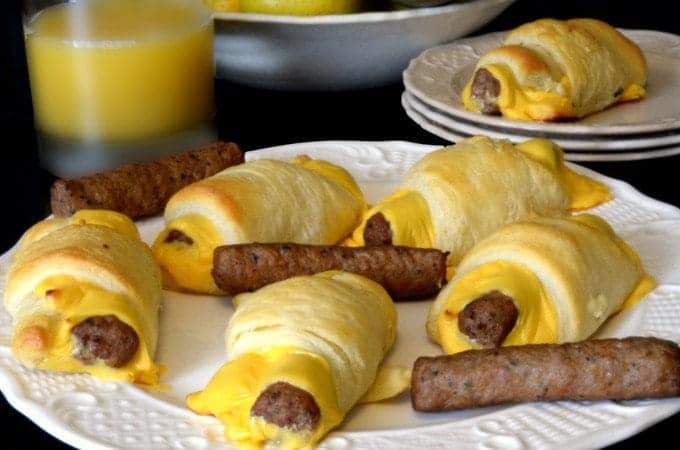 These Sausage & Cheese Breakfast Roll Ups are sure to be a hit at your breakfast table too. Please give them a try and let us know how you like them. 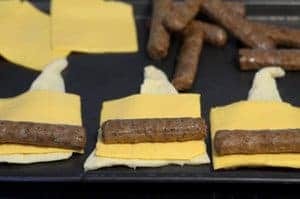 Better yet, let the Johnsonville Sausage company know how you like them. 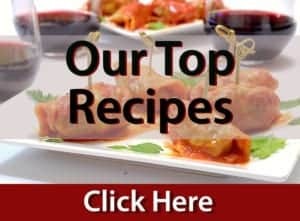 Be sure and mention that you found the recipe on your favorite food site, right here on Platter Talk! 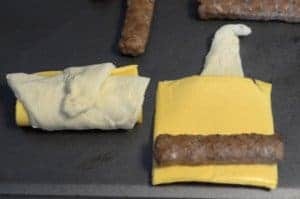 Place link of sausage on top of cheese, roll croissant. Bake 15 on baking sheet or stone, or until golden brown. I love turkey. I should make this for my kids though. They will love it like crazy. What a cute idea. I wish I would have seen this when I had my kiddos at home. 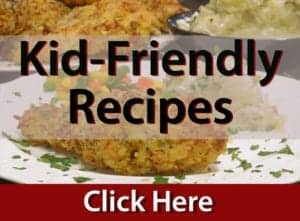 I suppose I could whip up a batch and take them up for the grandkids. Great idea! Yum! I love how easy these are with only 3 ingredients. 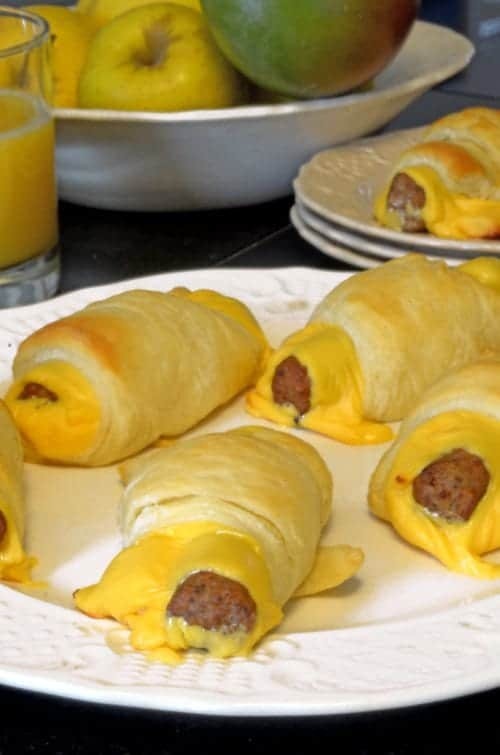 Such a great idea for breakfast, especially around the holidays with family around. I love these so much. We used to eat them every Christmas morning and they are perfect! Thanks so much, Karen. Great to hear from you!